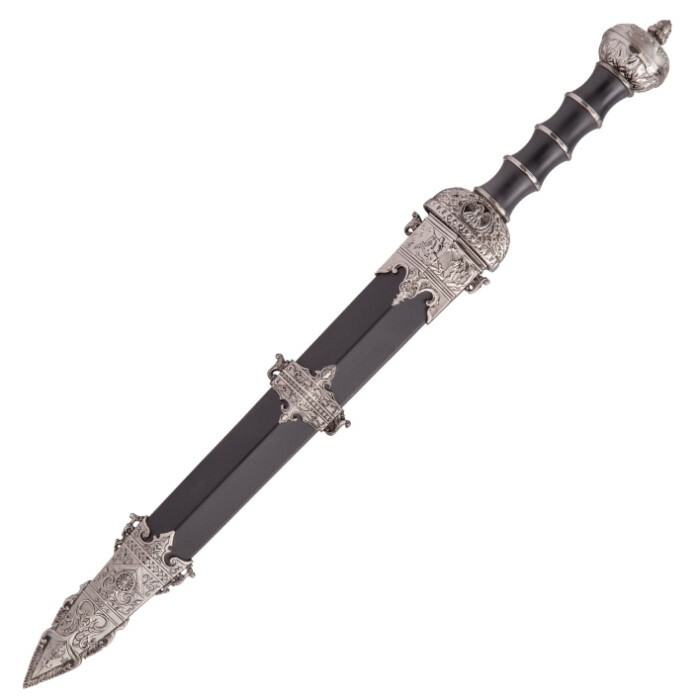 The Ebony Knight Medieval Short Sword was designed and expertly fashioned, using the Middle Ages as inspiration, to be a high-quality replica weapon suitable for display on your desk, bookshelf or coffee table. 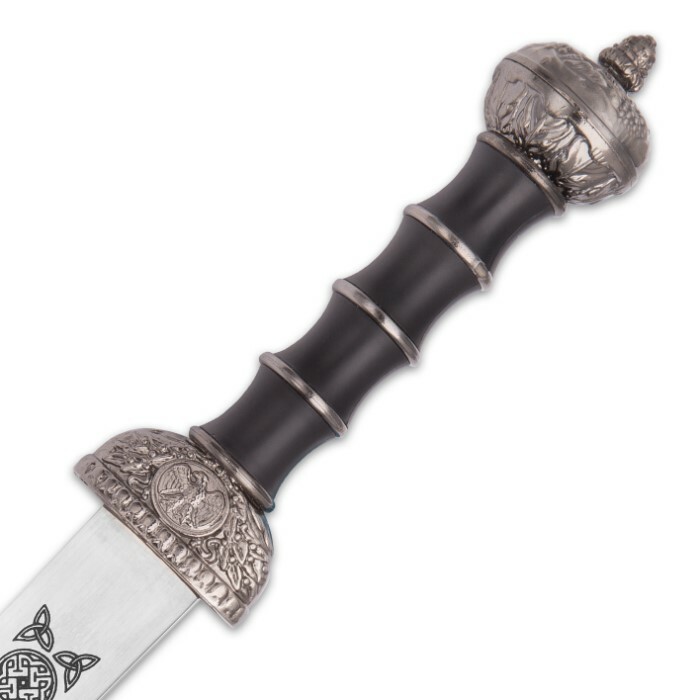 It has a 11" 420 stainless steel display blade with a Celtic inspired etch and an ABS handle with a faux ebony look to match the faux ebony ABS scabbard which houses the blade. 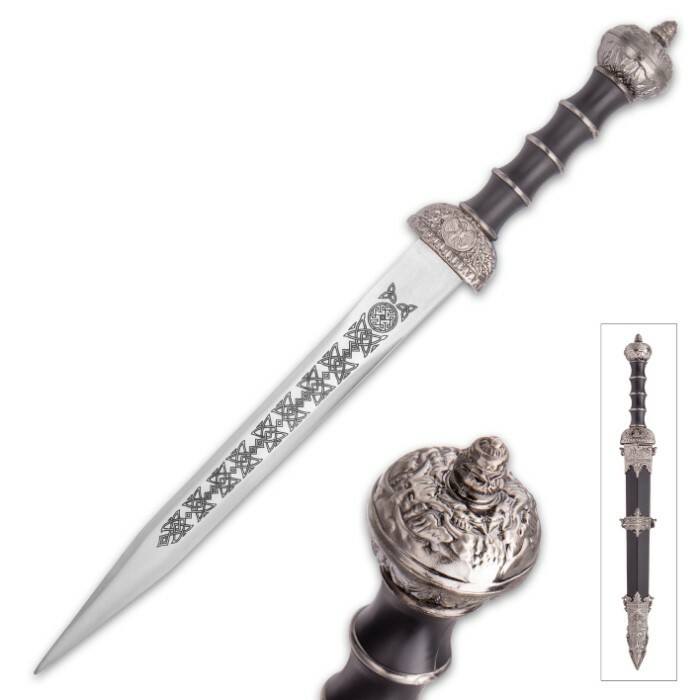 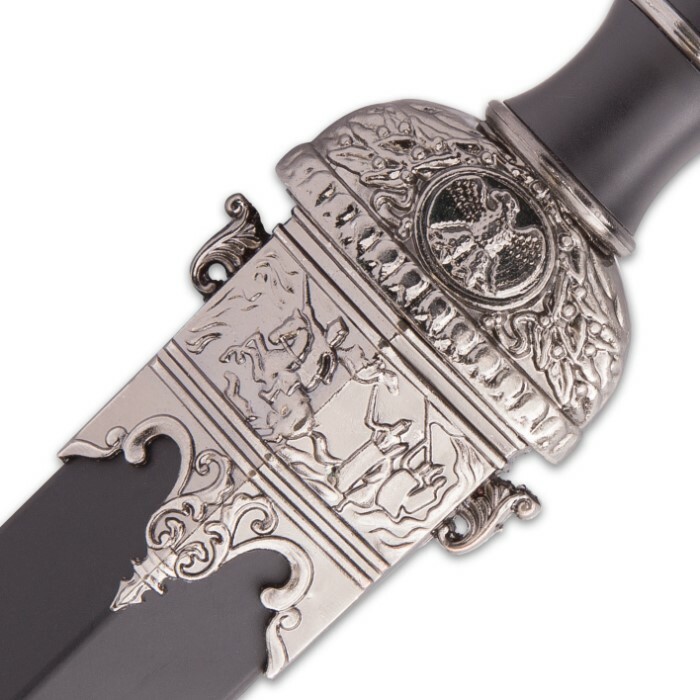 The scabbard has woodland themed, faux pewter accents which complement the metal guard and pommel. 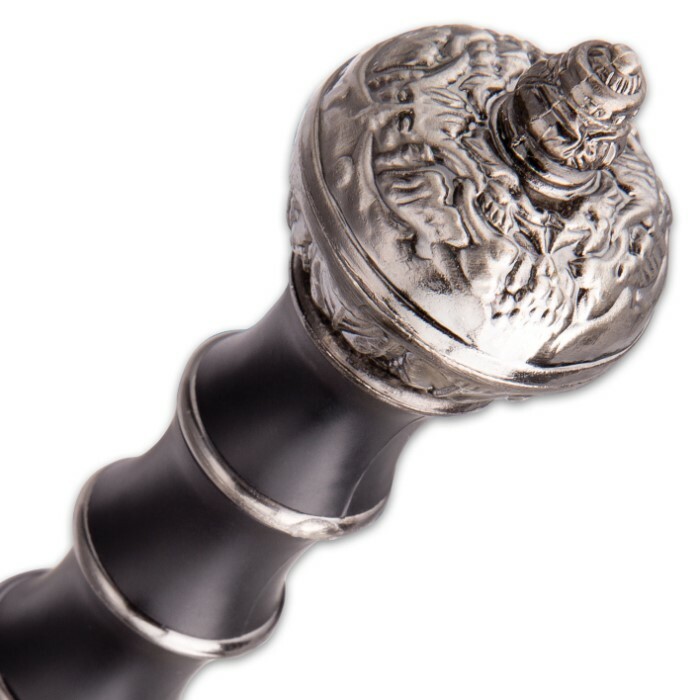 The faux pewter pommel has a rounded design that matches the curved design of the guard. 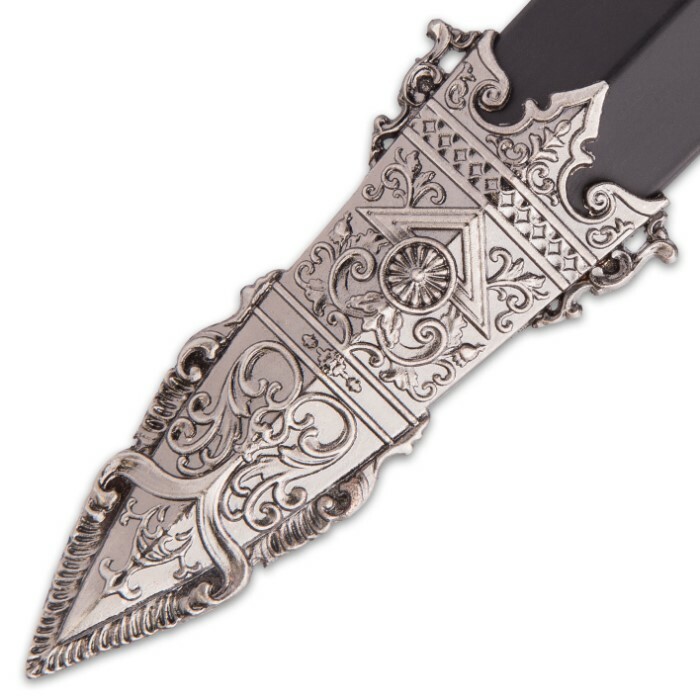 Our Ebony Knight Medieval Short Sword makes a superb gift for the collector.